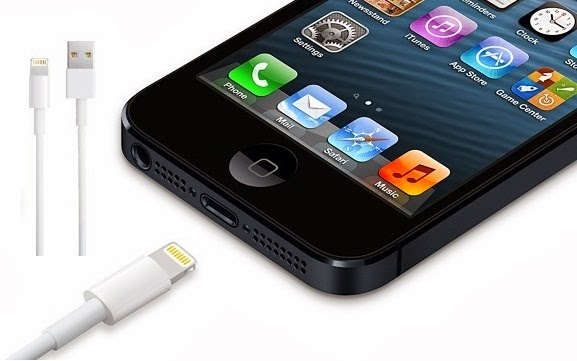 Now a days, Most of the iPhone, iPad and iPod Touch device users are facing problem while using unofficial, unauthorized, non-genuine and third party vendor's lightning cables within iOS 7 Firmware when attempt to charge Apple iDevices, it’s because blockage of those lightning cables which are not officially purchased from Apple Stores and Apple is also preventing users from purchasing those cables. Sometime users get error message when using unauthorized and unofficial accessories or lighting cables to charge any iPhone, iPad and iPod Touch smartphone and tablet devices. The error message which says "This cable or accessory is not certified and may not work reliably with the iPhone" resulting in the device not charging. Now iOS-Jailbreak community has find out the solution of this problem and now it’s possible to Enable and Use Unofficial Lightning Cables for Charging with iPhone 5S, iPhone 5C, iPhone 5, iPhone 4S, iPhone 4, iPod Touch 5G, iPad Air 5G, iPad 4G, iPad Mini, iPad Mini 2, iPad 3G and iPad 2G devices by following below simple tutorial and guide. Users need to understand that following tweak may depend and vary on the manufacturer/vendor of the Lightning cable and iOS device in use. How to Charge iPhone, iPad & iPod Touch with Unauthorized Lightning Cables? Step 1: First Start Cydia App on your iDevice, now enable and refresh all repositories and packages. Now Select Manage from the bottom tab bar. Step 2: After that, Select Sources from the middle list. Select Edit from the top right corner. Step 3: Now Select Add from the top left side. You will see a new message box will appear asking for the URL of the repository to add. Step 5: Now Select Add Source and wait for packages to refresh. After that Click on the newly added repository to view the added packages. Step 6: After that, you can Select and install the Unauthorized Lightning Cable Enabler package. Congratulations!! Now you can use any unofficial and third party vendor's Lightning cable with your device for charging purpose.